NASA has announced that the first test flight of SpaceX’s Dragon spacecraft will happen on January 7, 2019, with the Boeing CST-100 Starliner’s maiden flight to follow in March. 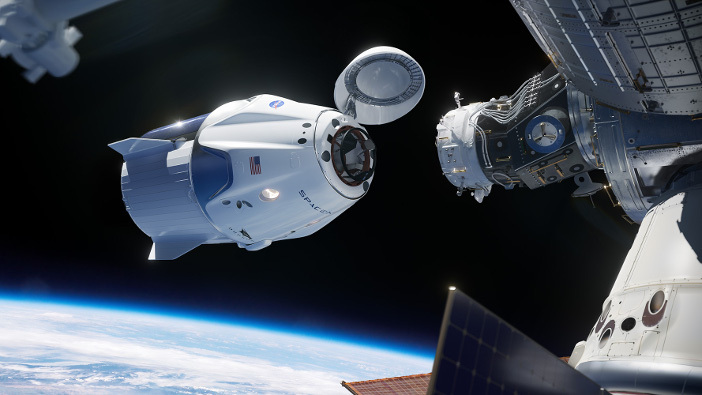 The US space agency’s updated schedule for its Commercial Crew Program then plans for the first crewed test flight of the Dragon capsule during June 2019 and the Starliner vehicle in August. The first operational missions should then launch in August and December. The anticipated June launch of the Dragon capsule will be especially feted, because it will be the first time astronauts have been transported into space from the USA since the Atlantis space shuttle in 2011. NASA’s Commercial Crew Program has partnered with industry to develop and fly human space transportation systems, primarily for use to and from the International Space Station, since 2010. Boeing and SpaceX have contracts with NASA to conduct six flights between 2019 and 2024. SpaceX’s Dragon capsule will be launched atop the company’s Falcon 9 rocket. The first test flight will launch from NASA’s Kennedy Space Center in Florida. Boeing’s CST-100 Starliner will use United Launch Alliance’s Atlas V rockets and in March will also launch from the Kennedy Space Center. Both companies will also carry out spacecraft abort tests to demonstrate their crew escape capability during an actual on-pad, or ascent emergency. Following the test flights, NASA said it will review the performance data and resolve issues as necessary to certify the systems for operational missions. “Boeing, SpaceX and the Commercial Crew Program are actively working to be ready for the operational missions; however, as with all human spaceflight development, learning from each test and adjusting as necessary to reduce risk to the crew may override planning dates,” said NASA. Meanwhile NASA has also announced it is to conduct a safety review of SpaceX and Boeing next year. The review is widely seen to have been prompted by Elon Musk, the founder and CEO of SpaceX, after he was broadcast live on the internet smoking marijuana and drinking whiskey.